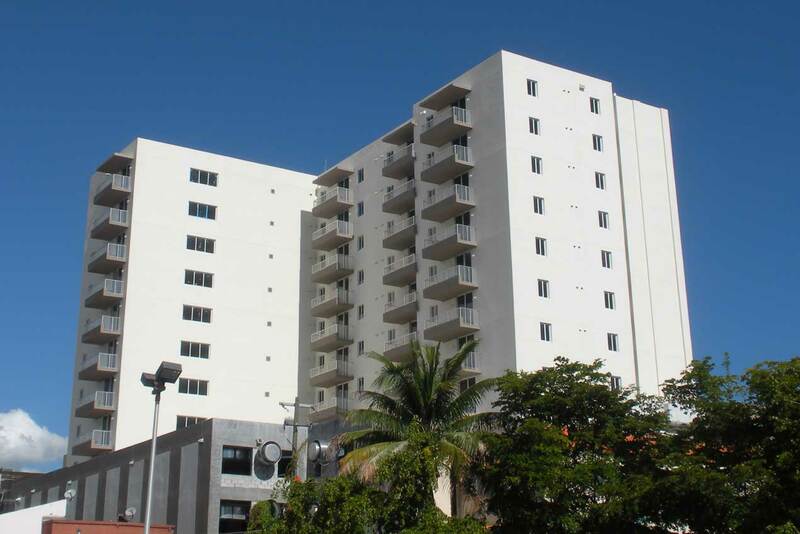 A condominium project in southwest 12th avenue and 4th street, in the heart of the Little Havana latin quarters. This urban project consists of 75 condos, with ground floor retail shops, common pool, multipurpose room, gymnasium and common terraces. The building is approximately 145,000 sq.ft.